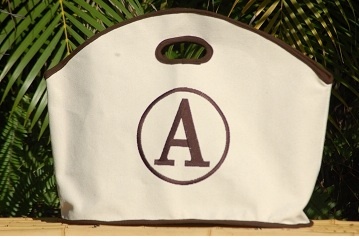 We designed this bag to sport when island hopping! Classy, easy access, tough, & fun! 3 sizes to choose from and way to many 'options'. We just can't stop ourselves! Enjoy! A hanging pocket is included on the large and medium sizes. This item ships directly from the manufacture. This item will ship between 2-4 weeks. All personalized and monogrammed items are final sale.